Several weeks ago, one of my nieces celebrated a milestone birthday with a day trip to NYC to see “Motown the Musical” with several friends and relatives. While we drove from Maryland to the city, I was struck by the beauty of the road side – from rural scenes to industrial ones, to the many tunnels and bridges in between (and let’s face it, for me the bridges were the high point). So despite the fact that we were traveling 70+ MPH most of the time, I challenged myself to get a few shots from a fast moving vehicle. Apologies in advance, because unfortunately, some of the photos were taken thru the windshield or while the car windows were rolled up. Here are results of my self-imposed challenge, and what I thought were 5* pix. I have to admit that this one was HARD – I liked several of the pix, but forced myself to admit they all weren’t interesting enough, or were high quality enough to display here, even though they were “good” images — even after MUCH manipulation. When I started this blog, I wanted to develop my “photographic voice,” and it think it is my growth in developing that “voice” that caused me to reconsider the images I planned to post. 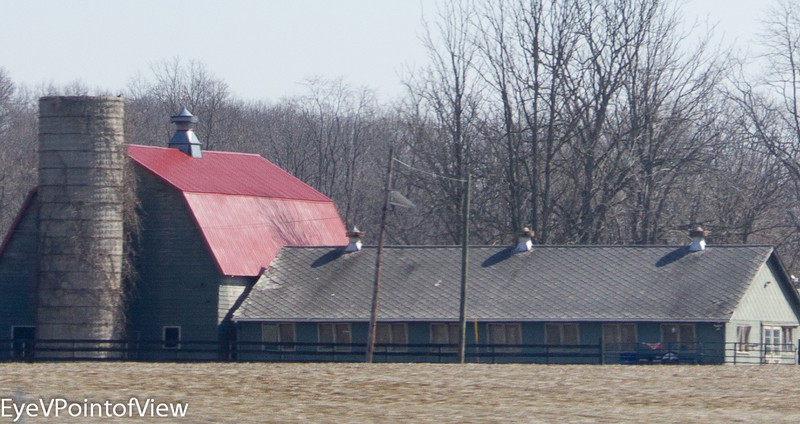 Red Roof – Man, this was a classic red-roofed barn with a silo, the kind that you see along the countryside in the Midwest. So it was a great surprise to see it here, just in time to get two quick shots of it. 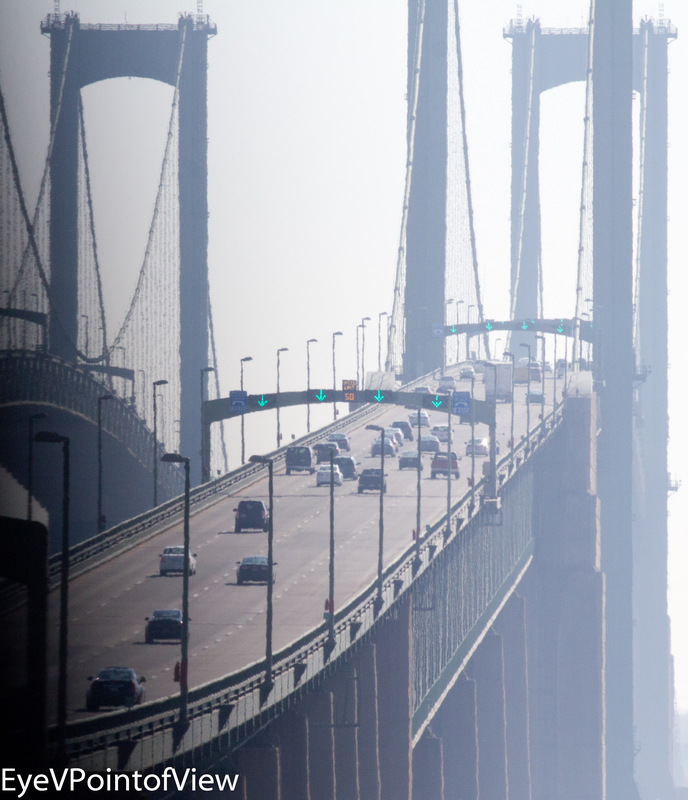 GW Bridge: The Rise – The George Washington Bridge connects upper Manhattan and Fort Lee, NJ, and is the busiest bridge in the world. In this image, we are approaching the bridge, on our way to Manhattan. It might take an aerial shot to truly capture the immensity of the bridge, but I love the fact that this image shows the rise of the bridge in the approach, and you can get a sense of the scale by the size of the cars in comparison to the structure. 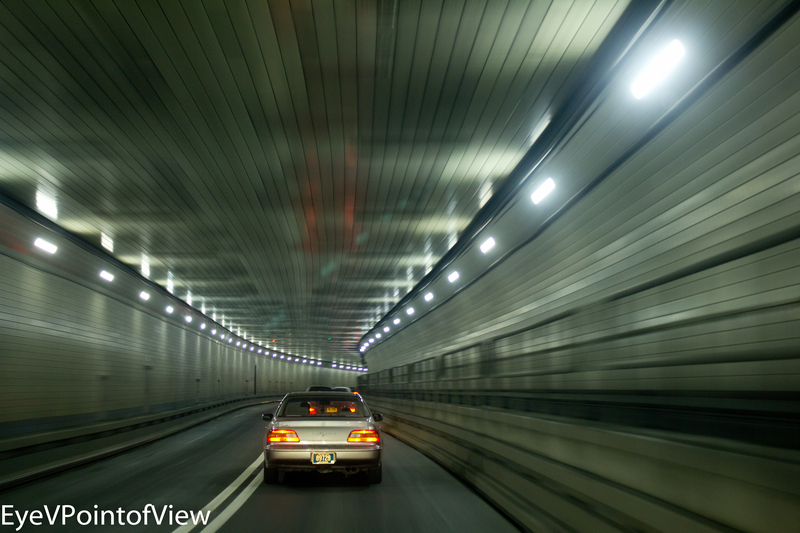 Tunnel of Lights – As we moved through the tunnel and I could see the pattern of lights and tiles. I thought of the many images I had seen of similar scenes. So I thought I would try it! I like the fact that, in this image, you can see the reflection of the car lights on the ceiling and in the tiles along the side walls. 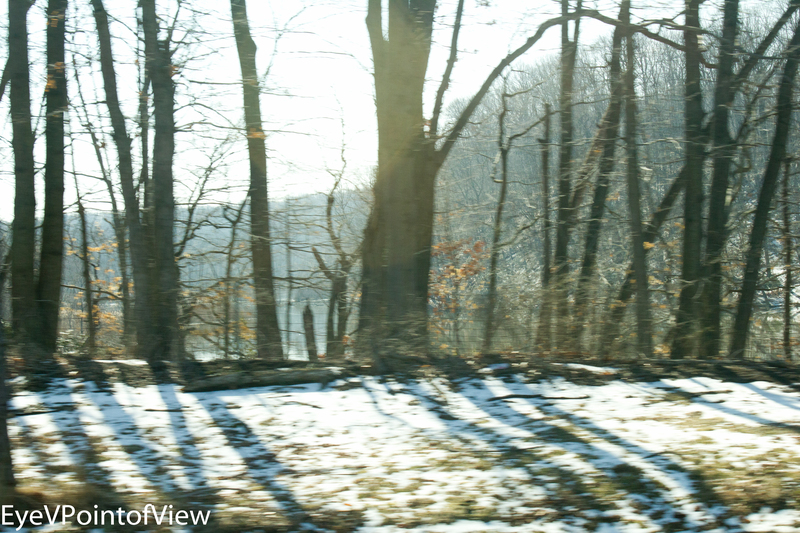 Light Thru the Trees – I just loved the light shining thru the trees, with the lake in the background, and the shadows of the trees in the foreground. Well, these are my 5* pix from my road trip. Hope you enjoy them (and the fact that I weeded some out)! Believe me, there will be more road trips where I have my camera.